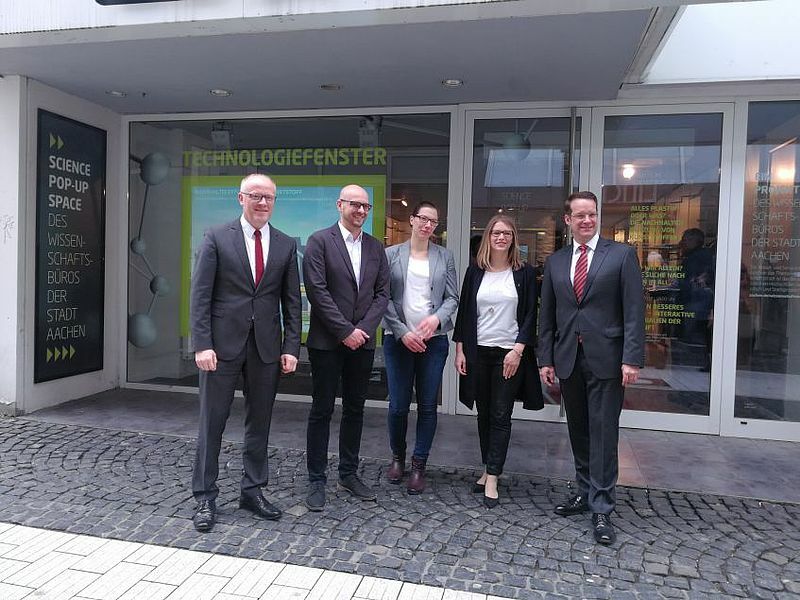 The declared aim of the Technology Window project in the city of Aachen is to make science "visible and experienceable for all". A shop window on Dahmengraben, one of Aachen's shopping boulevards, is the present focus of the project and has been converted into an enormous projection display through the use of modern technology. Here, the participating scientific institutes, including IKV, have been presenting today's and tomorrow's technologies, changing every week. The various "Science Pop-Up Spaces" are supplemented by lectures given in the shop by renowned experts on the respective topics. From 9 - 13 April, the shop window at Dahmengraben 17 focused on a number of innovative research topics connected with plastic. On 13 April, Prof. Dr. Christian Hopmann, head of IKV, gave a presentation entitled "Plastics everywhere – the sustainable use of plastics", in which he talked about the use and potential of plastics generally – materials that play such an important role in so many areas of our everyday life. The audience asked many questions, above all on the subject of recycling and waste prevention, which Prof. Hopmann duly answered. Peter Gronostaj, head of the Science Office of the city of Aachen, is convinced about the concept, and said: "Further locations in the city centre are already being planned. The Technology Window will in future be presented in different formats and at unusual locations, sometimes as a video clip, sometimes in the public library, always with the aim of making science directly experienceable for the people."